LOS ANGELES (AP) — The Arizona Coyotes haven’t had many chances to protect a lead this season. They’re starting to learn what it takes. Against the desperate Los Angeles Kings, battling to make the playoffs, Coyotes youngsters Brendan Perlini and Jordan Martinook got prime chances to put those lessons into practice. 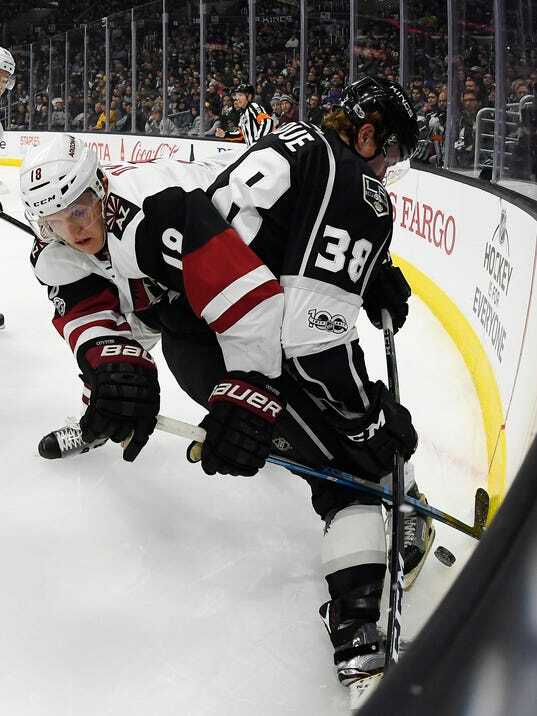 Perlini scored twice and Martinook added short-handed and empty-net goals in the third period as Arizona held off the Kings’ late attempt at a comeback for a 5-3 win Thursday night. On Soccer: Arsène Wenger Reaches the End of the Road at Arsenal. Or Maybe Not.